What players might move ahead of the deadline? The 2019 NHL trade deadline is looming in the not-so-distant future on Monday, February 25. Teams around the league are running out of time to decide whether they are buyers or sellers ahead of the deadline. The time for difficult decisions is coming. Thanks to some crowded standings, there’s a lot of uncertainty in the NHL. Even with the majority of the league having at least an outside shot of making the playoffs, there are still some big names who could be wearing new colors in February. 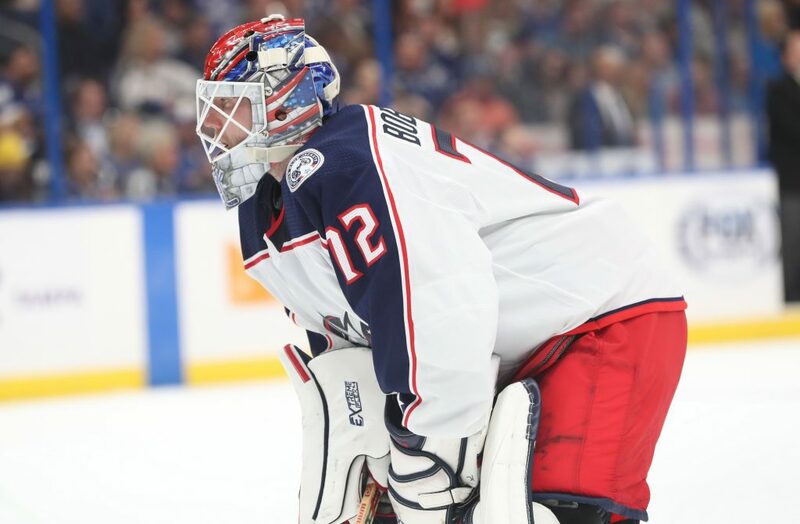 Columbus Blue Jackets goaltender Sergei Bobrovsky, 30, has had a bizarre 2018-19. Playing in the final year of his current contract, Bobrovsky has struggled to the tune of a 2.93 GAA, a .903 save percentage, and a -4.80 Goals Saved Above Average. Not ideal for a goalie seeking a new contract. He has made headlines for all of the wrong reasons after “allowing his emotions to get the better of him” and failing to meet the team’s expectations after being pulled during a game. The details of the incident are unclear, but it added more fuel to the fire regarding the Blue Jackets examining a potential trade. Rumors have swirled with several teams reported to be interested (Islanders, Flyers, and Panthers). 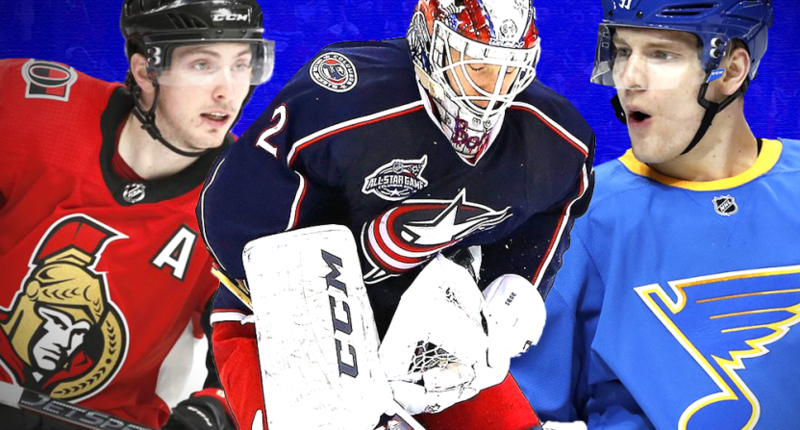 Lots of teams are looking for help in goal and the Blue Jackets may be able to fill that need. Their decision on whether to try and sign him to a new deal or move him in a trade may be decided on the severity of the recent off-ice incident. We took the easy way out with this one. Several members of the St. Louis Blues have been connected to various trade rumors, including Brayden Schenn, Colton Parayko, Vladimir Tarasenko, Patrick Maroon, and even captain Alex Pietrangelo. The team has been a disappointment in 2018-19, but a recent win streak has put them back in the hunt for a playoff spot. Is it time to blow things up? Or should the Blues try to hang on to make the playoffs this season before making the necessary changes this summer? The Blues need to make some changes. Despite their proximity to a playoff spot, the team has serious issues at their core. 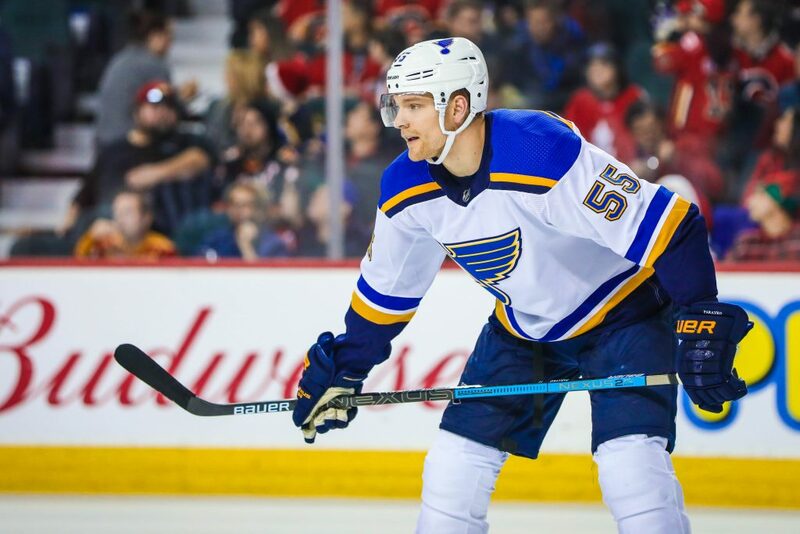 Dealing away any of the players mentioned above would require parting with some great talent (and a handsome return coming back to St. Louis), but doing something drastic may be what’s necessary to get this team sorted out. Schenn may be the most likely candidate as his deal is about to expire, but we wouldn’t rule out Maroon, who has been underwhelming and is extremely affordable. Parayko was linked to multiple rumors earlier in the year and would represent a great defensive upgrade for any number of contenders. The Blues have a lot of options they could wheel and deal in the hopes of righting the ship. Will they have the resolve to actually do it? 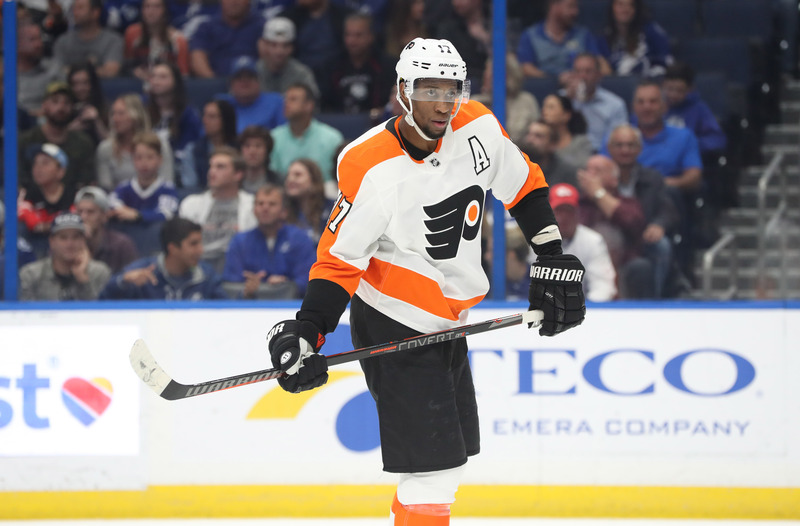 Wayne Simmonds, 30, might be one of the safest bets to move ahead of the trade deadline. 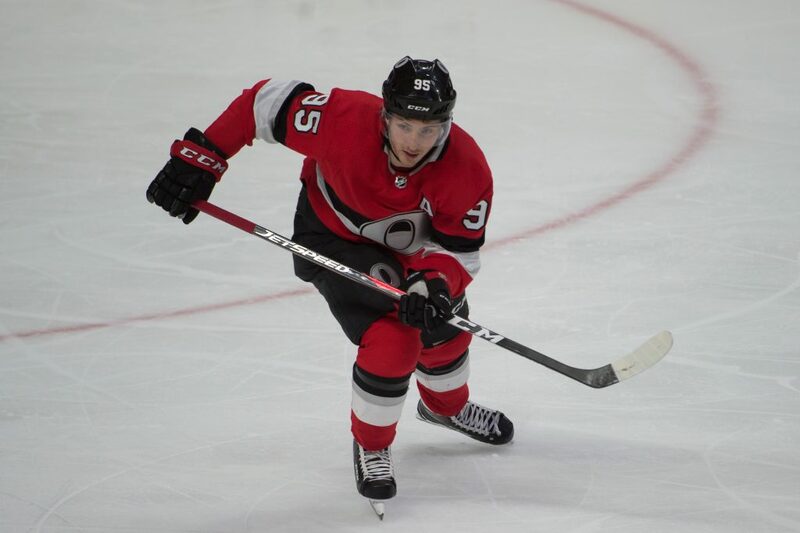 He has already garnered a ton of interest around the NHL, is an unrestricted free agent following this season, and he possesses a lot of those intangible qualities teams love to rave about. His strong work ethic and gritty style don’t show in the statistics, but they’re perfect for the playoffs. This year, Simmonds has 15 goals and 22 total points. While those totals are respectable, Simmonds’ abilities on the power play and in the physical side of the game are why he’s an attractive option for a team looking to add a bit of depth up front. 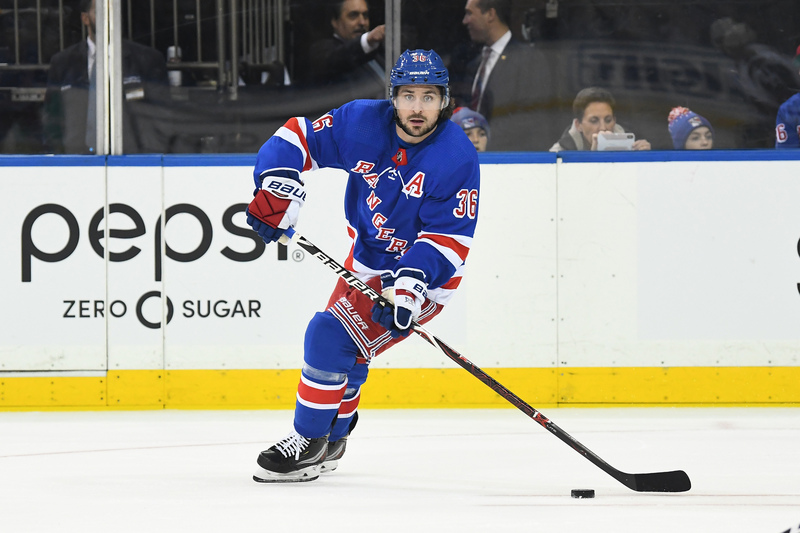 Another player who is about to be an unrestricted free agent, the 31-year-old Zuccarello could be another option for a team looking to add offensive depth. He isn’t the most prolific scorer in the NHL (he has eight goals and 22 total points this season), but he has tallied 15 or more goals in each of the last five seasons. He’s the exact kind of player teams will be looking for when a playoff push is in order. With four goals and three assists in his last four games, the asking price for Zuccarello may be on the rise. To be clear, there is no certainty that 28-year-old Matt Duchene will be moved by the Ottawa Senators. The Senators have made it clear that they are interested in inking Duchene to a new deal. How can you blame them, considering Duchene’s 20 goals and 25 assists so far in 2018-19? But does Duchene really want to keep playing in Ottawa? Can the Senators figure out a way to ink Duchene to a new deal that fits within their salary cap? Those are the pressing questions that will need to be answered as time marches toward the trade deadline. Keep an eye on this situation. The Senators will try their best to keep Duchene. Should those efforts fail, Duchene could become the biggest name moved prior to the deadline. As with other players on this list, there’s no guarantee Jimmy Howard will be moved. It may even be in Detroit’s best interest to retain him. But things don’t always work out as you hope. The Red Wings have previously stated they want a first-round pick in a deal involving Howard. By all accounts, they’ll try their best to keep him in the mix. Still, that may be difficult if a team comes calling with a deal the Red Wings can’t refuse. They may have to make a difficult decision and start acquiring assets by parting with Howard. On the year, Howard has played well despite the Red Wings’ mediocre 18-23-7 record. His 8.71 GSAA indicates that he has played better than average, even with his team not playing too well in front of him. 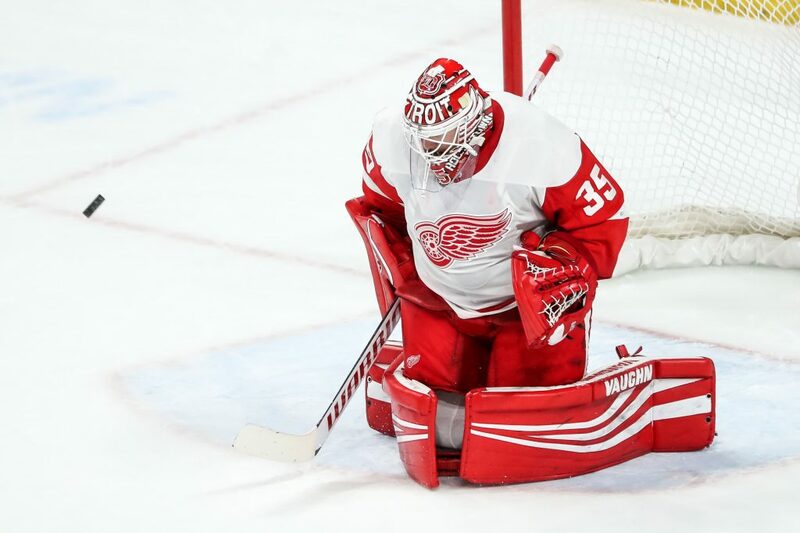 He’d be a big upgrade for a team looking to make a significant change between the pipes, if the Red Wings can be swayed to let him go. Yes, a draft pick could be one of the most exciting players moved at the deadline. That may sound silly, but a first-round pick can be worth quite a lot with the right draft class. 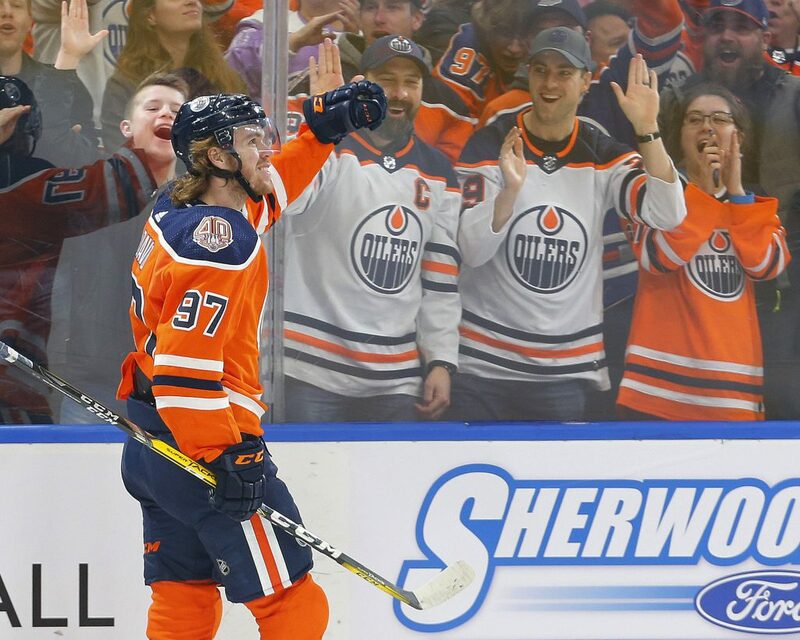 The Edmonton Oilers have already stated that their first-round selection might be in play, giving hope to teams who want to get started on their own rebuilding project. Though other teams may make their top pick available, the Oilers’ first rounder is on the table in advance and may end up being a fairly high selection. Unfortunately, no one will guarantee whether the Oilers’ almost annual tradition of moving up in drafts is included.